How beautiful this scene is! 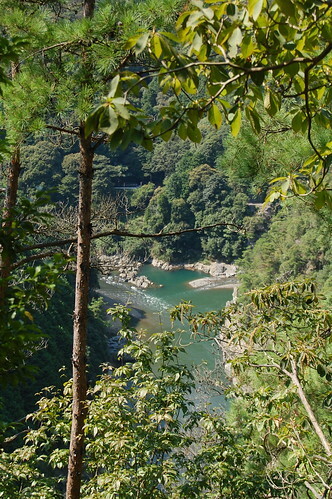 This is the scene of which I overlooked the join point of the Hozu River and the Kiyotaki River, from the almost summit of Mt. Ogura. 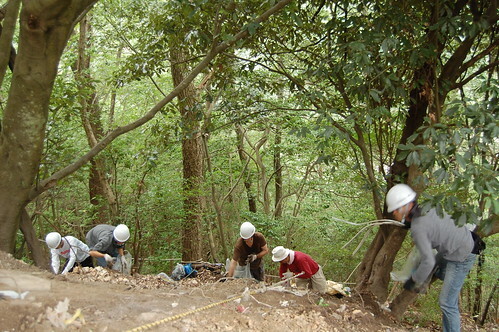 Mt Ogura is located in the Saga area, the northwest part of Kyoto city, and its altitude is 286m. In the Kamakura era (1185-1333), the famous poet, Fujiwara Teika edited “The Ogura-Hyakunin-Isshu” here, around at the foot of Mt. Ogura. Mt. Ogura and the Saga area have been fascinating the people who love Japanese literature and Japanese culture. It is the shameful to put the photo of rubbish, above. Mt. 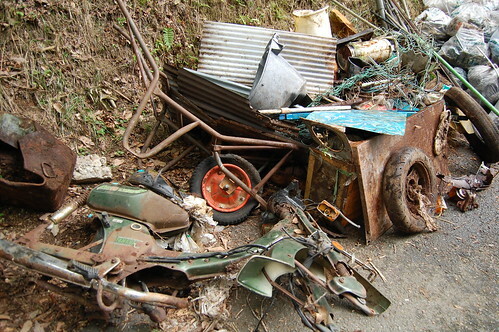 Ogura (the back side of it) has been contaminated by a heavy rubbish. It supposed to be done by from common men to the construction companies or the garbage trucks. It is just a problem of the morals we have, I think. Anyway, it is shameful. I joined the action managing by one NPO named “Ogura-Hyakunin-Isshu-no-kai”, and collected the rubbish with NPO members and some Volunteers from Ritsumeikan University. I have to introduce one great person who is one of the organizers of this NPO. Mr. Stephen Gill (photo below) is the Haiku artist and the proposer of this action, who is living in Saga. He was from England, loves Haiku and the area around Mt. 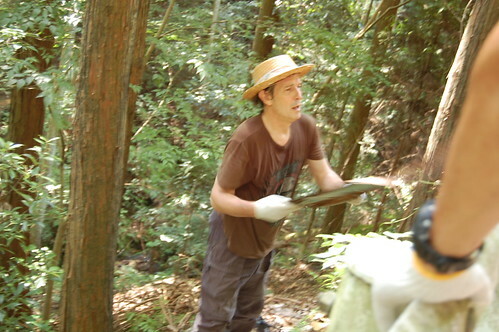 Ogura where the poets in olden days loved, and leads Japanese people to clean our surrounding. We have to appreciate his feeling and efforts. Yes! I have to talk about it to the local. So I write the blog in Japanese, too.